What are my options for varicose vein treatment? Your options include endovenous laser ablation, medical phlebectomy, ultrasound guided sclerotherapy, visually guided sclerotherapy, external laser and intense pulsed light. After receiving a precision mapping of the superficial venous system the specific treatment plan can be put in place. All of these treatments are performed outpatient and require no intravenous medications. Most patients can return to work the next day. Endovenous laser ablation is a procedure which introduces a laser fiber into the center of the vein. This is performed utilizing ultrasound guidance. Once in place anesthesia is injected around the vein collapsing it on the laser fiber. The laser is then fired and withdrawn slowly. This turns the normally open vein into a solid cord which is then removed by the body over time. Medical phlebectomy is a micro-surgical technique whereby varicose veins are removed through the skin. The leg is marked visually and using ultrasound. Anesthesia is then injected around the vein. Micro incisions are made in the skin and the vein is grasped with a special hook. The skin is closed with a Steri-Strip, no sutures are usually needed. A special dressing is applied and the patient is able to drive home. Ultrasound guided sclerotherapy is a technique where chemical agents are placed inside the vein lumen in order to irritate the vein wall cells and cause it to collapse and be absorbed. The needle is guided into the vein using ultrasound to ensure proper placement. Compression hose are then applied and the patient is able to ambulate immediately. What is visually guided sclerotherapy? Visually guided sclerotherapy allows the physician to inject veins that are seen easily on the skin surface. The venous structure is identified blood is aspirated and then chemical agents are injected . These agents cause irritation of the vein wall and the vein disappears over time. Varicose veins and spider veins are both treated utilizing these methods. 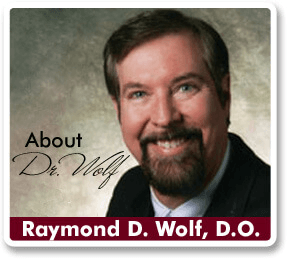 What are laser and intense light treatments? These are usually the last treatments performed. They are most effective when used on small veins called telangiectasias. The skin is anesthetized using a topical agent. The laser or intense pulsed light source is then applied to the structures causing a selective heating of the vein. The body then removes the vein over time. Compression hose are important because they help reverse the negative effects of reflux in varicose veins. They do not stop the progression or cure the underlying problem but they are helpful in controlling symptoms. They are worn after all vein treatments for both patient comfort and treatment effectiveness. Why won’t my veins just go away? Varicose veins have broken valves that prevent blood from returning toward the heart. Instead, there is increasing pressure in a normally low pressure system causing other valves to be destroyed in a domino type effect. By removing the abnormal veins blood is then channeled to veins that have intact valves and therefore blood returns to the heart. By removing the abnormal vein leg function is improved and symptoms subside. What happens if I need bypass surgery? The great saphenous vein is commonly harvested for bypass surgery. However, varicose veins are much larger than normal veins and their walls are thickened or weakened to the point that they are unable to be utilized in the surgery. By removing the abnormal vein only we are able to spare the good vein and prevent its further destruction. A precision ultrasound analysis allows us to identify the abnormal vein and treated it specifically while leaving the normal vein intact. No. We utilize tumescent anesthesia for most of our varicose vein treatments. This is the same anesthesia that is utilized for outpatient liposuction procedures. After anesthesia is injected no pain is experienced. The area of treatment may be sore after treatment and pain medication is infrequently required. Will these treatments help a leg ulcer? 70% of the leg ulcers are due to venous problems. The phlebology approach is to treat the underlying reflux which oftentimes comes from perforator vein incompetence. We see many patients who have undergone hyperbaric oxygen treatment or topical applications that are ultimately cured with proper vein treatment.